Before you start shopping for your Calgary home, why not give some thought to your lifestyle, the features you need and want, affordability, and the neighborhoods you prefer. With that information you'll come closer to finding your perfect home – sooner! 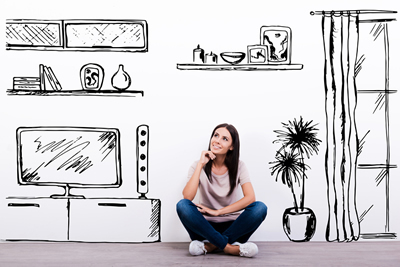 Before shopping for a home, take the time to determine your budget. Consider your monthly expenses in addition plan for unexpected costs. When you develop a needs versus wants list, try focusing on your needs and you'll come closer to finding a home that meets your criteria while staying within your budget. A home must meet your needs now and for years to come. Location, access to services and surrounding areas are just a few of the items to evaluate before you purchase a Calgary home. When you purchase a home, a team of professionals is standing by to assist you such as your Real Estate Associate, contractor, appraiser, lender, mortgage broker, lawyer, home inspector, insurance broker and more. This article explains the important role each of these people play in your Calgary home buying experience. Under the federal Home Buyer's Plan, first time home buyers can withdraw up to $20,000 in RRSP savings to finance a down payment on their first home. These reports will provide further detail regarding this program. Did you know that you may be able to purchase a home for as little as five percent down? Canada Mortgage and Housing Corporation (CMHC), provides insurance to individuals with less than 20% of the down payment. Read more about CMHC through these reports. By planning ahead you can avoid some costly and frustrating errors. Here are some suggestions on making your next relocation smooth and problem-free. Coordinating closings, selling a home first, and making improvements on your existing home are just a few of the ideas presented to make your move up easier. Real Estate Professionals can help! A buyer's agency agreement will further assist you in your home search by helping you find your ideal home at a fair price. Learn more in this section. Compared to other investments, real estate tends to offer steady returns with low-risk. In addition, you will reap the benefits of building equity, having a place to call your own and ensuring your financial future.